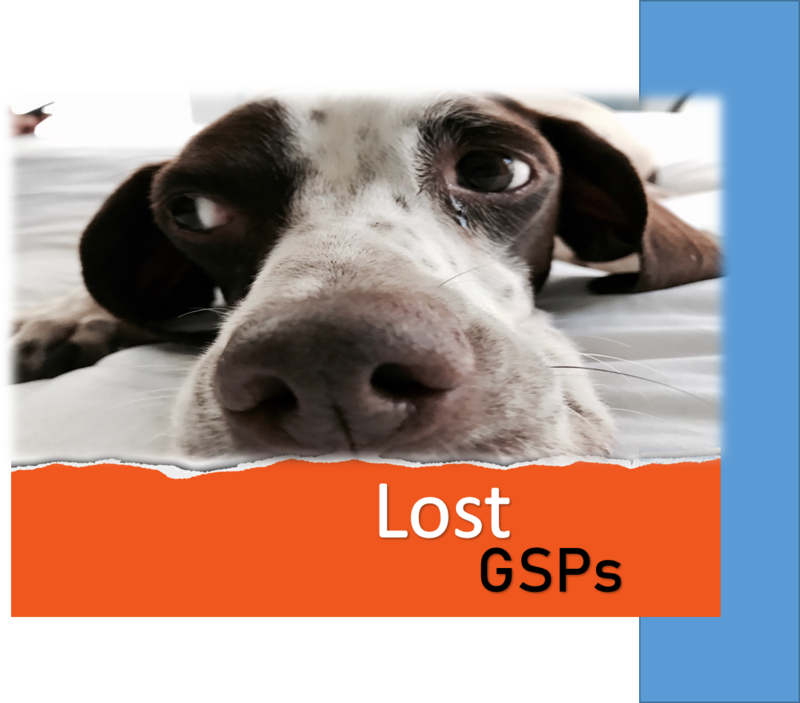 Sadly, we have another lost pup to report. 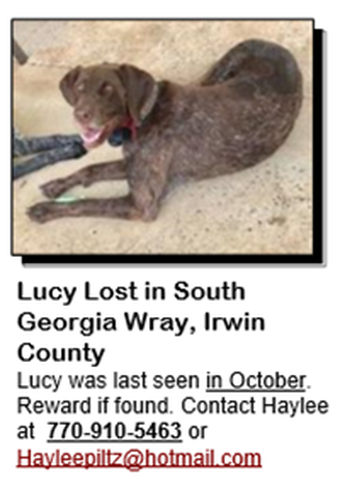 Missing in the northwest GA/Chattanooga area. Answers to Herschel. 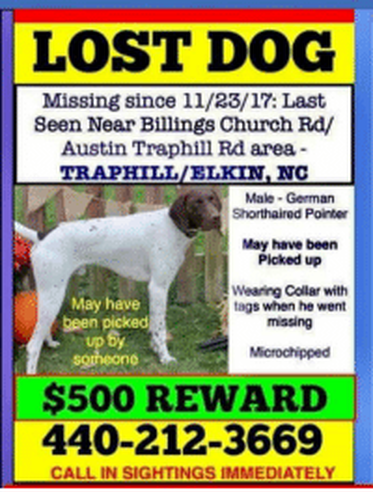 He was last seen in Chattooga Cty/NW Georgia. There were some construction workers nearby and his owners think they might have taken Herschel (The tags on their car said Hamilton County, Tennessee). He is not microchipped and was wearing an orange collar. If you have any information about Herschel please call 706-936-4093. 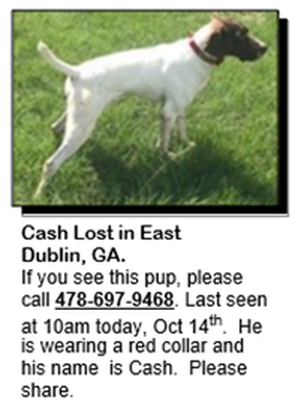 He was last seen March 20th near Morgan Drive in Buckhead, GA (near Lake Oconee). Please contact 404-226-9986 if you see Hershel. 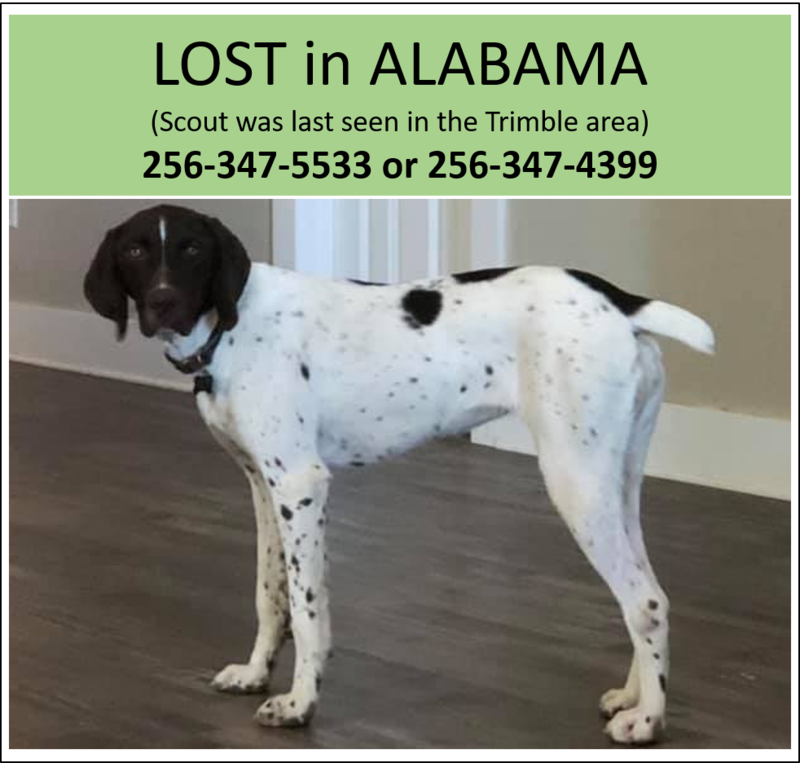 Scout is missing in Alabama since Monday. 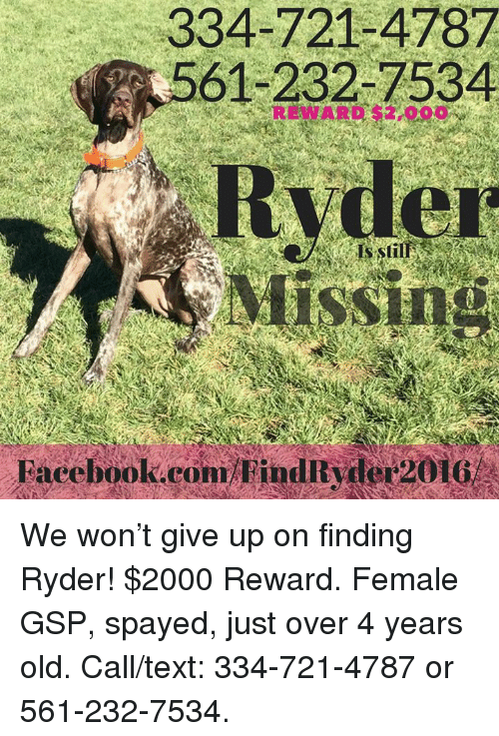 She was last seen in the Trimble/Logan area. 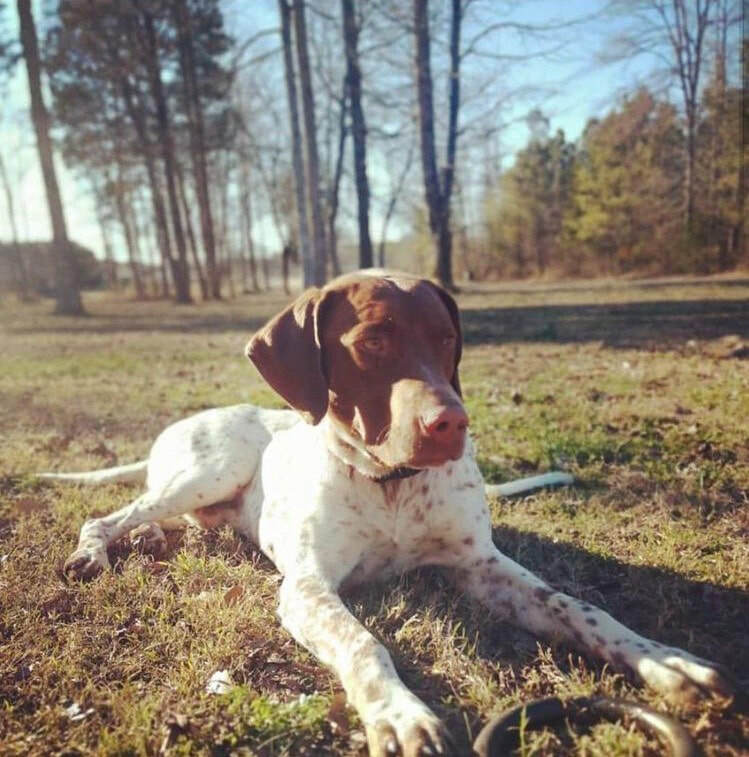 If you see Scout please call 56-347-5533 or 256-347-4399. Her family is offering a reward for her safe return. 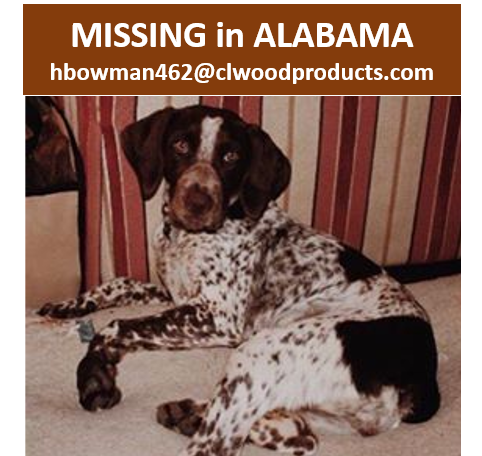 Murphy is missing in Alabama near Decatur/Hartselle in the Danville area. Microchipped, has a blue collar with name and number on it. Sioux (Sue) is LOST in Alabama. 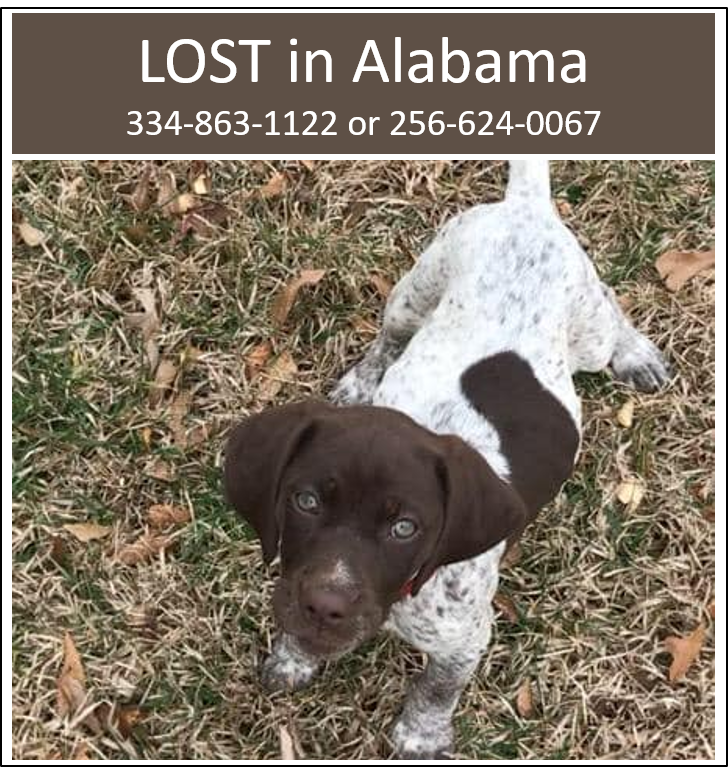 She is 9 weeks old and went missing this morning around Big Springs Community (Cty Rd 65). She was wearing a red collar and had not yet been microchipped. If seen call 334-863-1122 or 256-624-0067. There is a reward – she is very loved and missed desperately. 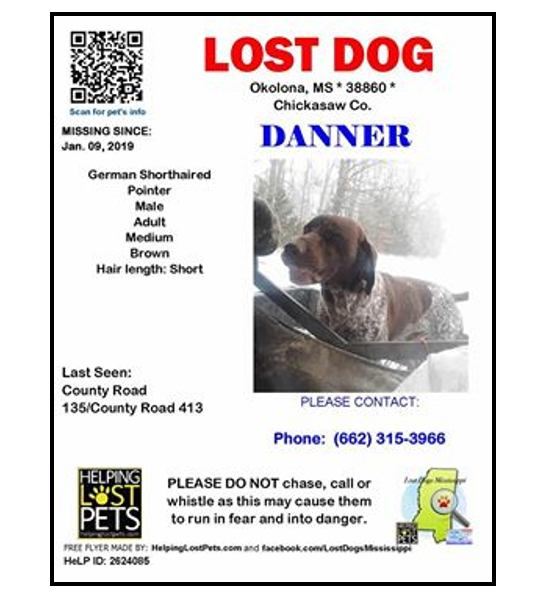 Danner has been missing since Jan 9th in Mississippi. His family is still clinging to hope. If you have any information please contact 662-315-3966. 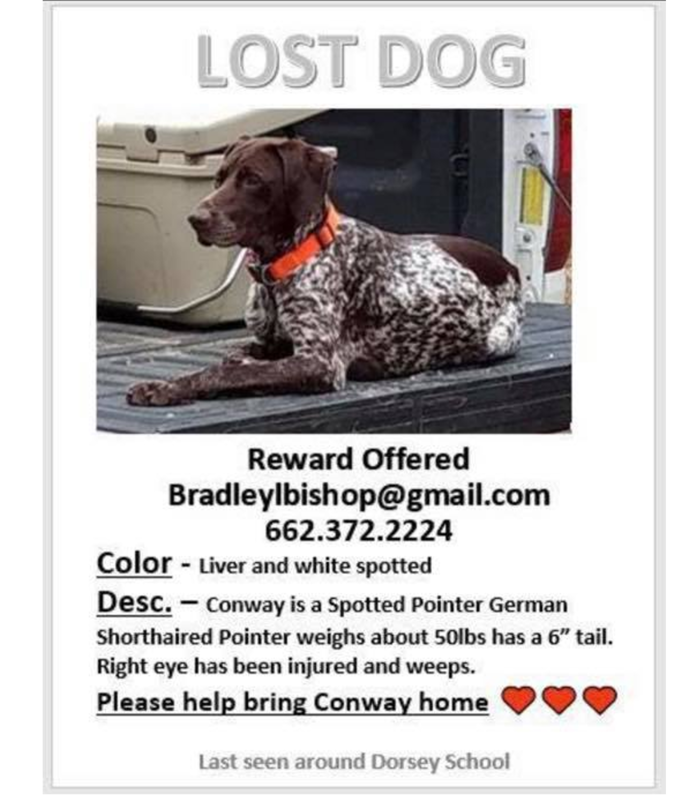 Conway is missing in Mississippi. If you see him please call 662-372-2224.